It’s national stationary week this week and we had received an exciting bundle of stationary from Bic, with lots of products from the Bic Kids range which are perfect for all the boys and especially for Mr T to keep practising his mark making. At the moment Mr T loves to draw pirate treasure maps, which is great as it gets him practising a lot of X for X marks the spot! Many of the other pre-writing shapes make their way into his maps too. 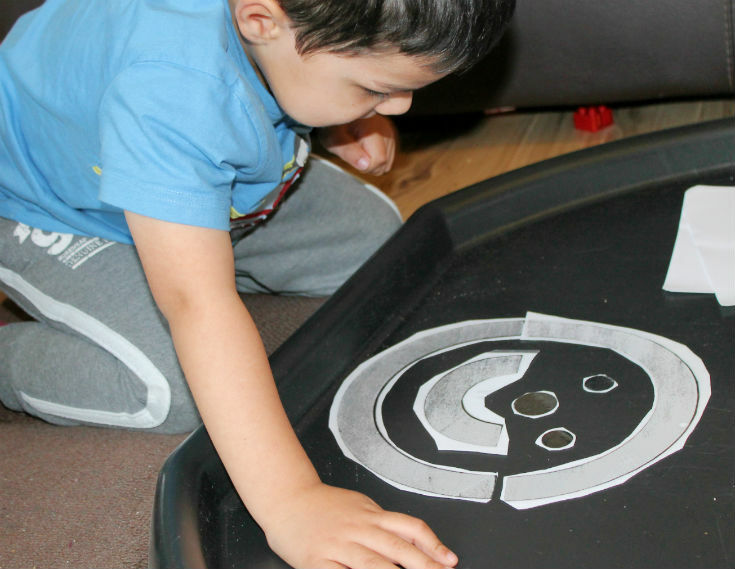 He was given an activity from his occupational therapist to help him develop these shapes into a drawing of a person. First we cut out all the pre-writing shapes, which were laminated on a large card. and then extends it into a whole person. Once the person is completed, he uses his pencils to copy the shapes down onto paper which helps him learn how to draw a person. 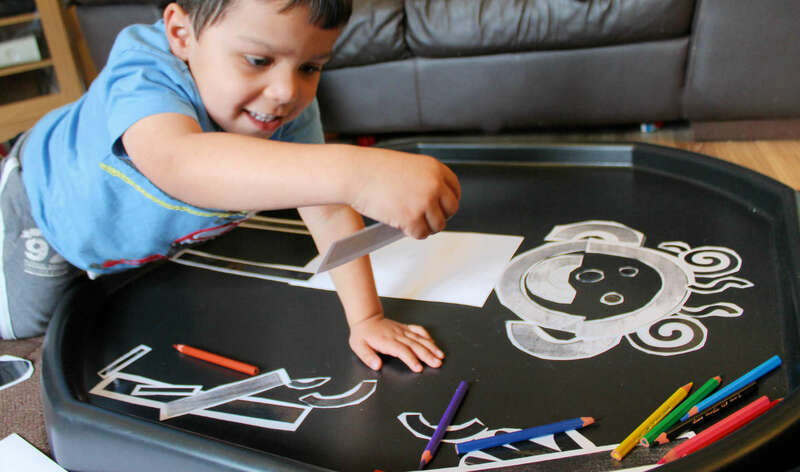 All of the shapes used in this activity are pretty basic pre-writing shapes which means he is able to use these to achieve a recognisable picture more easily. By setting the shapes out in the person formation before beginning to draw, this helps to give the child a sense and feel of the proportions and how everything fits together. This is all good for general body awareness too, to reinforce where are all the different parts of the body in relation to each other. Each time the shapes should be modelled first and then copied, so you know that your child is starting from the correct place and following the lines in the correct direction. 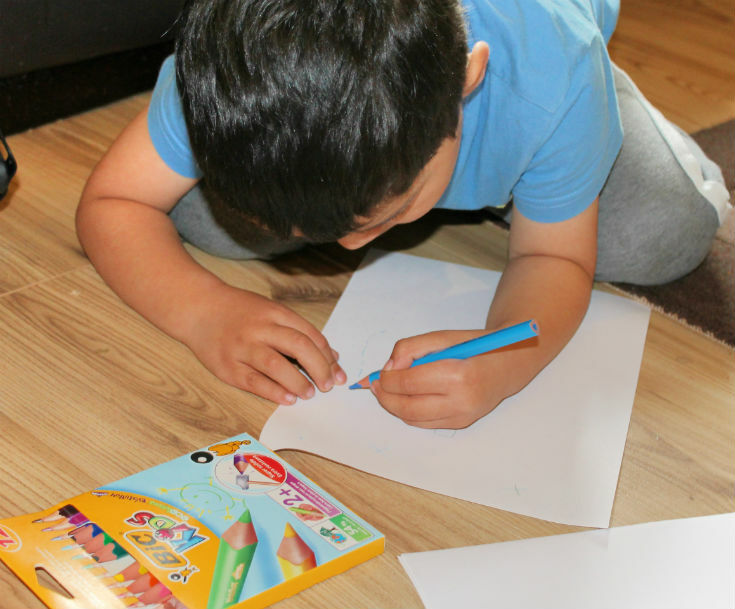 The Bic Kids range is perfect for Mr T to use to help keep these activities fun, so he is getting creative and enjoying himself while at the same time he is getting the developmental benefits from all this practise. The range includes wax crayons, pencil crayons, felt tips and more. The colour and erase pens are a lot of fun, and introduce some more variety into our activities. 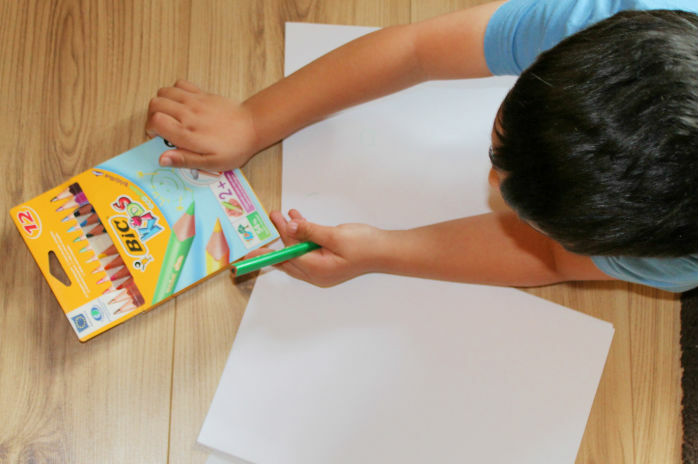 Rather than ask your child to just copy the shape, you could ask him to make it appear from inside a block of colour, by getting him to use the eraser pens. For the older children there is also a Hello Kitty range available from Bic and the new Bic cristal stylus which is a pen at one end and a stylus for your phone or tablet at the other. If you want to make your own printable sheets for your kids this works well with Adobe ideas app. If you are more artistically talented than me I’m sure you would get better results, but you can see below some doodles I did for an Arabic alphabet colouring sheet. How are your little ones getting on with their mark making? Do you have any fun ideas to share? Please let me know in the comments! What great ideas. Will have to keep them in mind for F when she gets a little older. 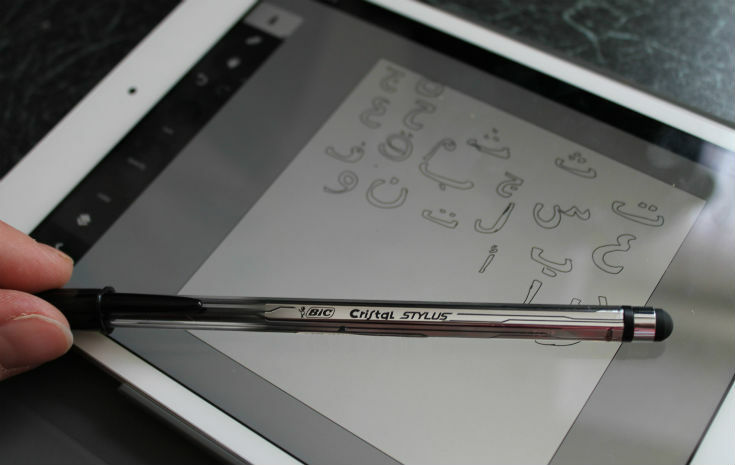 Ooh I hadn’t heard of the crystal stylus. Great idea! We found those pens didn’t last long unfortunately, and didn’t flow as well as some others. TwinsplusTwo recently posted…Why I want my kids to fail. Donna recently posted…Little Climbing Boy! Thanks for sharing my pre-writing series in your post! Great ideas there, Emma is at this stage too and could do with some stimulation! I will bookmark and pin your post! [email protected] recently posted…Cooking with kids: Easy Rainbow Layer Cake…. I love the BIC kids range. 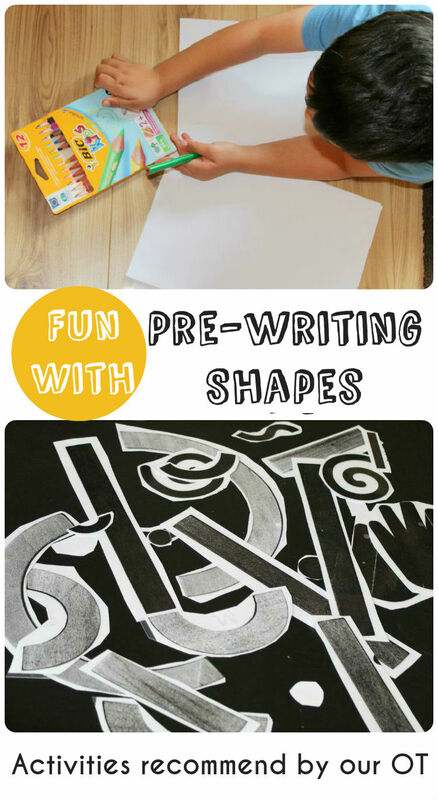 Some great things to try to get them working on their pre-writing skills and their pencil skills too. He’s doing really well. I wish I had heard of these prewritting shapes before. You Baby Me Mummy recently posted…Say cheese! What a lovely hoard of stationery! It is amazing how new pens, crayons and pencils can also motivate children. I love your activity to create and then draw a person. What a lovely way to get a child motivated to hold a pen or pencil and get writing! 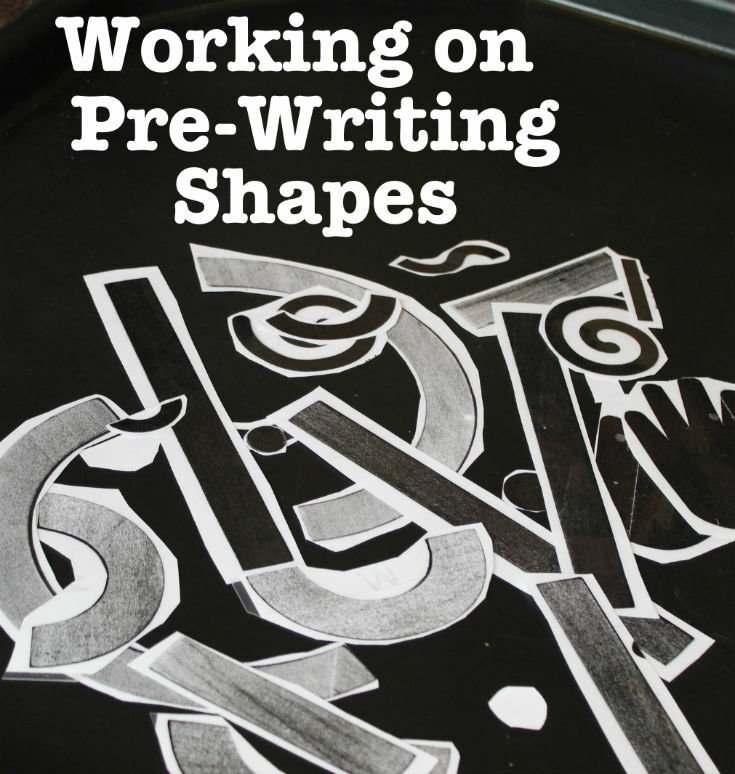 great tip on the 9 pre-writing shapes – thanks! Fab post! I’m completely clueless about this sort of thing and have so much to learn. The pre-writing shapes make so much sense. wow, Kids love the colors, really!!! I should head to bookstore and buy the twin a similar pre writing shapes. This is such a great idea, thanks. Bic is a brand which has followed me sice my childhood! 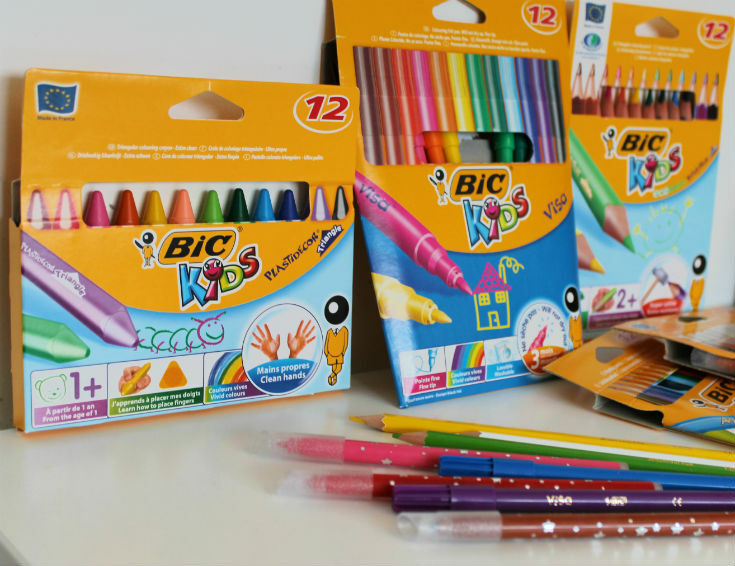 Didn’t know that Bic did a range for kids – really great tips! My son has started writing at his nursery, he’s so enthusiastic! Lovely ideas for introducing the concept of writing. My little one’s off to preschool in September so we need to do this too. chantelle hazelden recently posted…Do We Baby The Baby? This is a great post – really helpful. I find that Cbeebies’ Squiggle It helps enthuse my children for drawing and writing. Jude recently posted…Climbing up the slide; imaginative play or a playground faux-pas? Verily Victoria Vocalises recently posted…Quest for Health and Fitness: How to Get Your Kids to Eat Their Vegetables. Some lovely ideas for pre-writing, I love the person he made from the shapes. I think we should start on this as we are due to start school in September but I’m not quite sure if our little guy is quite ready yet. Never knew there was a kids bic range! agatapokutycka recently posted…GORE-TEX – What is it and is it worth it?